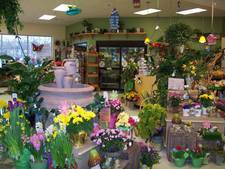 Richter's Marketplace Floral is brimming with a large array of stunning fresh flowers, vase ready bouquets, potted plants and home decor and gift items. Our Full-Service professional florists are on site to assist you with all your floral needs. From planning your dream wedding to celebrating the life of a loved one with a beautiful funeral spray. Browse our walk-in cooler and see a variety of creatively designed arrangements or grab a few fresh stems and create one of your own. Call us today at 262-763-0870.